Y'all I love Pinterest. I mean love it. It's become one of my favorite ways of unwinding at the end of the day. I love cuddling up in bed and pinning away ideas for my classroom, home, funny sayings, and ideas that are just worth saving. So to get back in the blogging grove, I'm linking up with sweet Cara for Favorite Pins Friday! My hubs and I built our first house last summer and we've been trying to make our house our home. Next up on my big project list is our loft but I've been held getting started because I couldn't figure out a color scheme. However, I think I've found it! I just love this color combination of gray, aqua, and watermelon. Since we live in a new build, we also have new build paint. Which isn't the best. It seems like we are always touching up something because of the dogs, natural wear and tear, etc. We haven't painted with good paint yet because it hasn't been a year yet and the house still has some settling to do. So of course, I think this idea is from Alternative Gardening is genius! Like many of you, my kiddos take RC/AR tests. Once a quarter we go to our Reading Counts store and cash in our points. 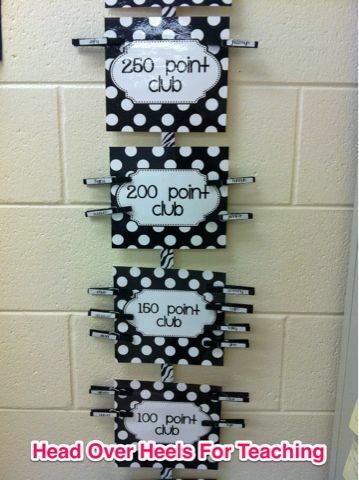 However, I'd like to do something to visual display points in the classroom too. This idea from Head Over Heels for Teaching seems to be a manageable way for me to do so. Since I'll have two classes next year, I'm imagining have two displays, each a different color/pattern. My grade level and I are implementing the Daily Five next year, and we've been trying to think of ways to organize our Word Work materials, and I thought this freebie from Sweet Kindergarten would be perfect! I read someone where that Sam's Club has those carts for $24! It's time to take Grandma shopping, as I'm a Costco girl myself. I also love finding fun sayings/pictures on Pinterest too. I'm a huge fan of Parks and Rec and Ron Swanson. This cracks me up every time I look at it. 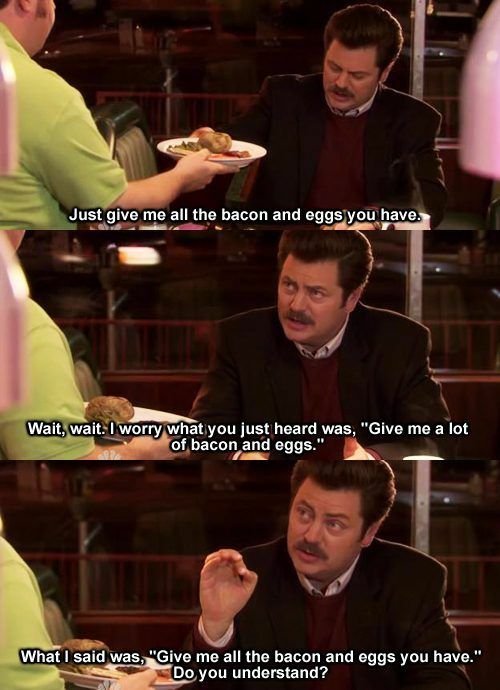 The link doesn't work on Pinterest, but go ahead and laugh anyway if you love Ron Swanson as much as I do! I love finding a good recipe on Pinterest too! I've read Iowa Girl Eats blog every day it seems for the past three years and I've tried so many of her recipes, especially the ones from her momma's recipe box. 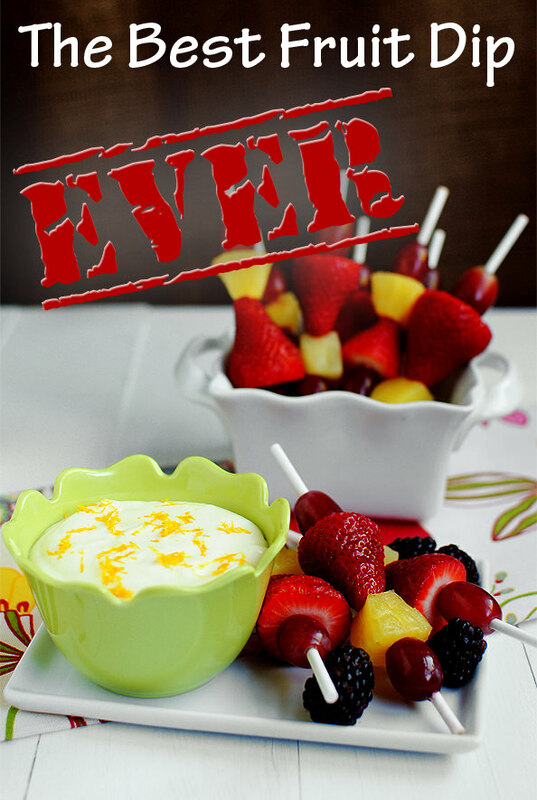 So when she posted her mom's fruit dip recipe, I knew it would perfect for the Thirty One Party I'm hosting later this month! I'm off to hit publish and hang out with the hubs and my sweet pups! Happy Weekend! I love the "chart" for keeping track of AR points. It would be so easy for the kids to see if they have met their goal. I love the paint touchup roller, such a neat gadget. 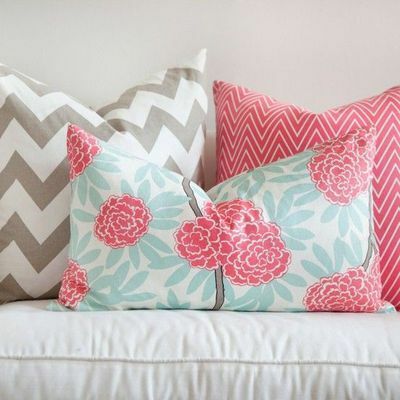 Ooooo, those pillows are in my favorite colors! LOVE!!! And I totally need that rubbermaid scuff remover. My kids have reaked havoc on the walls. Havoc. Ugliness. I can't speak of it. Thank you for that pin, though! 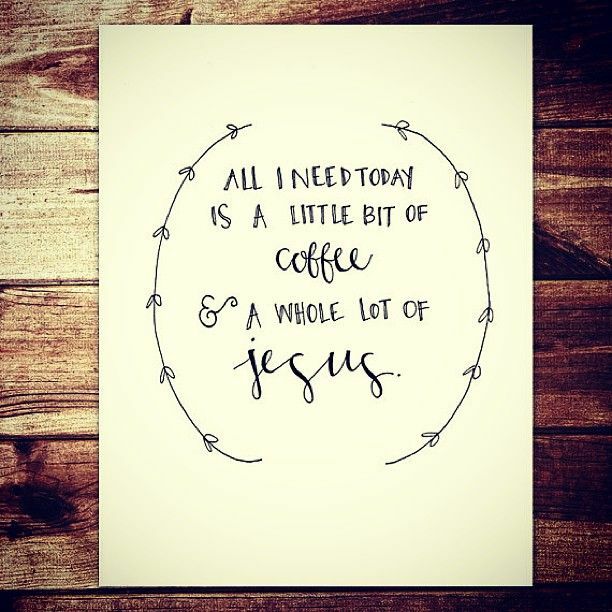 I love the coffee and Jesus quote!! I love Pinterest too, Lisa. I've been pinning ideas on a "Home Sweet Home" board for over a year. It is so fun to actually bring some of those ideas to life since we moved into our new house a couple weeks ago. I love the grey, aqua, and watermelon color scheme. It's girly without being too much. I used a football-themed AR tracking system in my classroom last year. Each student had a football on a clothespin that I moved along the yard lines in 5 or 10 point increments. My students loved being able to move their footballs and also encouraged other students to take more quizzes. I loved the variety of your pins. 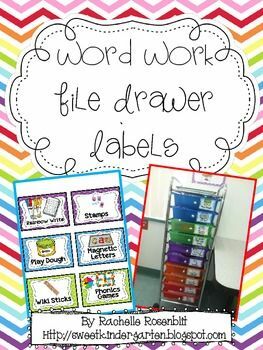 I was excited to come across the word work file drawer labels. I bought a drawer cart today and have been trying to finalize how I want to use it and I really like this idea. I am obsessed with anything gray & coral/watermelon/pink. I love the aqua in the mix, as well! I love Parks and Rec! That color scene is great! Thanks for the shout out Lisa! I made that Reading Counts chart this year to save space in my classroom-we only have 3 small bulletin boards. I wanted to feature all of my students' hard work and they loved moving their clip up the chart! So glad you like it! I am headed to Sams club tomorrow to see if they have the drawers...thanks for the heads up! Really very useful tips are provided here.I'm thinking that which makes your heart sing gives me a headache! Fun to watch this blog.